If there is nothing in elected officials’ texts messages to be concerned about, wouldn’t it be simpler and more cost effective for members of the Bakersfield City Council and Kern County supervisors to allay concerns and release them? Why work so hard to keep them hidden? Perhaps soon citizens will find out. 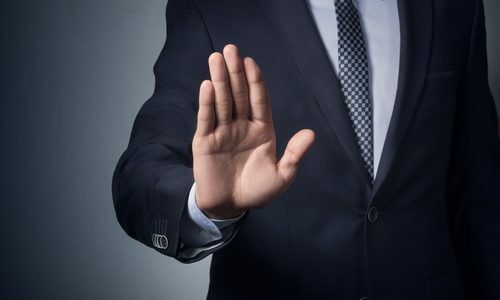 The City of Bakersfield continues to refuse to fulfill our lawful records requests, keeping the public in the dark about council members’ backroom dealings with powerful Realtor lobbyists to kill Property Assessed Clean Energy. 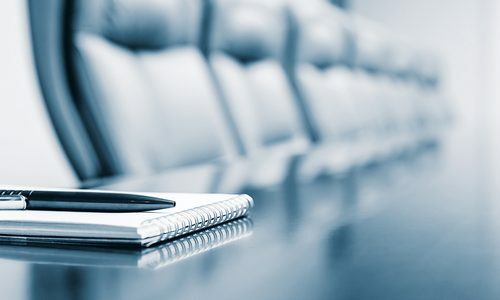 Bakersfield City Council members could have saved taxpayers thousands of dollars in lawyers and staff costs if they had just agreed to “cure and correct” their alleged Brown Act violation and hold a full public revote on the PACE program last year. 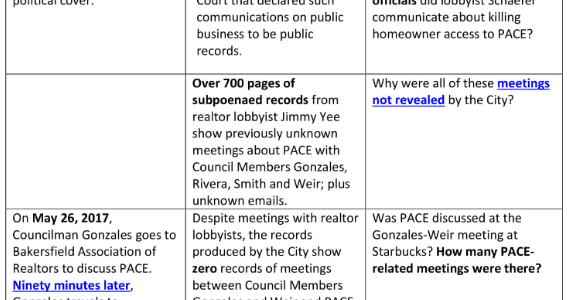 Jimmy Yee’s records detail extensive contact with Kern County officials and point strongly in the direction of a public records act violation and state-prohibited “serial” meetings. As the District Attorney starts her probe, we encourage her to ensure that any money from the now-infamous “political cover” grant application by the Bakersfield Association of Realtors (BAR) was used properly.